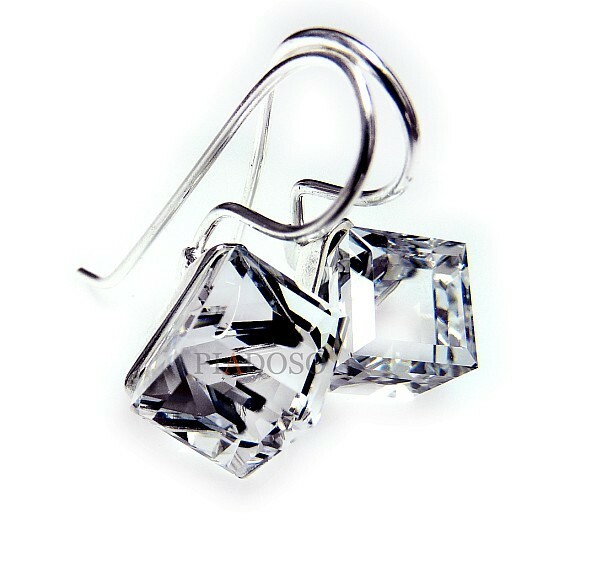 Beautiful silver earrings with Swarovski Elements Crystals: CRYSTAL CUBE. These genuine Austrian crystals are made in exclusive Swarovski Elements collection world-known for best sparkling crystals. Beautiful crystal CRYSTAL CUBE in adorable classic color CRYSTAL. Unforgettable jewellery for any occasion. It can be central element of your style or may be a perfect gift for your significant other. Elegant silver hooks all made with sterling silver 925. The stamp is marked on the hooks. Beautiful earrings with stylish finishing and automatic clasp.